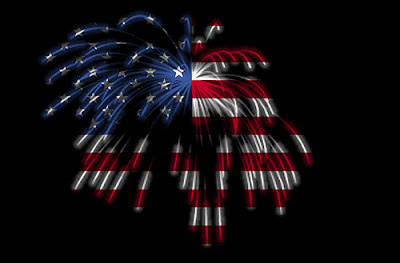 I hope everyone has a fun and safe 4Th of July! What are your plans? Mine include family, BBQ, hopefully fireworks depending on the rain and of course red, white and blue cupcakes! I floated in a boat and then in a swim pool - and then saw fireworks from a boat! The river reflections were awesome! It sounds like you had a great time! The fourth is always a great time to get some summer fun in! I will have to post pics of ours soon!